The famous La Gloria Cubana Corona Gorda Maduro is a powerful smoke that is covered with the most stunning Connecticut Broadleaf wrapper that you will ever lay your eyes on. Your taste buds will be serenaded with bold flavors of dark spice, espresso and leather, as you sit back and watch the stress just melt away. Packaged in a box of 25. Full bodied smoke. Its just my preference, but construction was a tad spongy. Burned well. I would also note the maduro wrapper was fragile and could have been oilier/more flavorful. Great taste on this one! And as always, great service from JR. 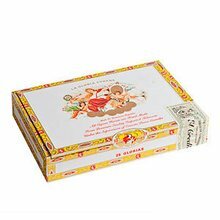 I am an avid La Gloria Cubana smoker and these sticks fell short. Maybe a bad batch but the wrappers split when cut and while smoking from top to bottom. Very hard to draw out of the package and that made the flavor hard to appreciate. I wouldn't write these off but they weren't as enjoyable as I hoped. La Gloria cubana is a pretty good stix. Little strong for me but still good . Good flavors good draw an nice even burn. The Maduro Gloria is a decent cigar. Sweet and spicy. Consistent flavor during the whole smoke time. LGC is one of the best cigars on the market. Lots of flavors. Nice even burn and not to strong. Over the years I have had some draw problems. 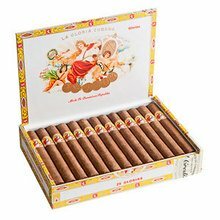 The La Gloria Cubana Corona Gorda is a flavorful cigar. Typical La Gloria. Enjoyed every puff. 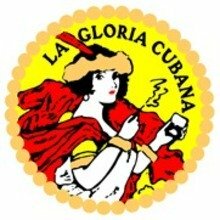 La Gloria Cubana Corona Gorda. Is a perfect size cigar packed with flavor. These cigars have quickly become my go to sticks. They never disappoint!